Craft Pound Shop There are 409 products. 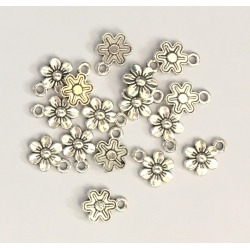 Pack of 12 antique silver-coloured double-sided flower charms, each being 1cm wide.BUY 10 PACKS AND SAVE 50%! 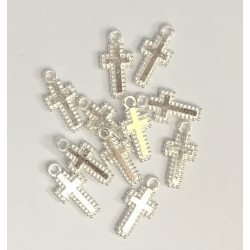 Pack of 8 pretty shiny silver-coloured metal cross charms, each with a beaded-look edge. 2cm tall and double-sided so they're great for jewellery as well as for christening, first communion, confirmation, Easter and sympathy cards.BUY 10 PACKS AND SAVE 50%! Pack of 12 shiny silver-coloured metal butterfly charms, each being 12mm wide.Made from a zinc alloy.BUY 10 PACKS AND SAVE 50%! 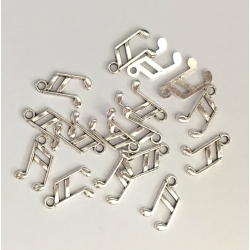 Pack of 18 silver-coloured metal music note charms, each being 9 x 14mm. Made from a zinc-alloy.BUY 10 PACKS AND SAVE 50%! 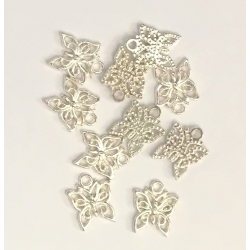 Pack of 30 antique silver-coloured flower-shaped 'Hand made' tag charms, each being 8mm wide.These are a great little additional to your sewing, knitting and craft work - adds a great little finishing touch.BUY 10 PACKS AND SAVE 50%! 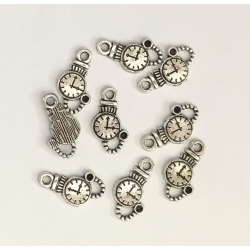 Pack of 12 antique silver-coloured metal pocket-watch charms, each being 15mm tall - very Alice in Wonderland!Made from a zinc-alloy.BUY 10 PACKS AND SAVE 50%! 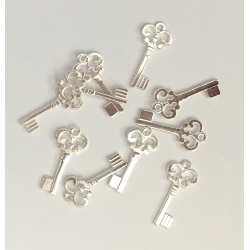 Pack of 24 silver-coloured metal mini keys, each one being 15mm long. Made from a zinc-alloy.BUY 10 PACKS AND SAVE 50%! Pack of 30 little antique bronze-effect metal Chinese coin charms, 9mm wide - great for embellishing Oriental designs.BUY 10 PACKS AND SAVE 50%! Pack of 25 little antique bronze-colour metal Eiffel Tower charms, great for adding a bit of French chic to your card and craft designs. 17mm tall.BUY 10 PACKS AND SAVE 50%! 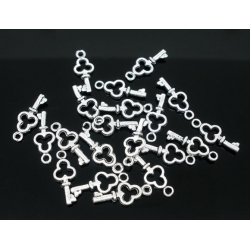 Pack of 14 shiny silver-colour metal key charms, 2.1cm long.BUY 10 PACKS AND SAVE 50%! 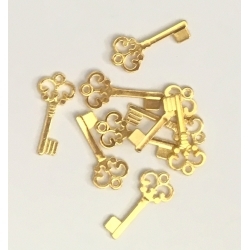 Pack of 14 shiny gold-colour metal key charms, 2.1cm long.BUY 10 PACKS AND SAVE 50%! 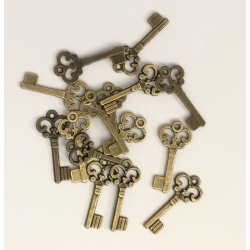 Pack of 18 antique bronze-colour keys, 2.1cm long.BUY 10 PACKS AND SAVE 50%! Pack of 8 silver-coloured metal charms, each being a fish with a hanging loop. 17mm long.BUY 10 PACKS AND SAVE 50%! 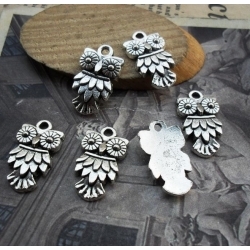 Pack of 6 rather lovely silver-coloured metal owl charms, each being 2cm tall (including loop).Made from a zinc-alloy.BUY 10 PACKS AND SAVE 50%! 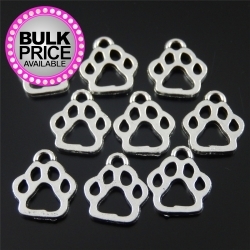 Pack of 12 flat silver-coloured metal charms, each being a cute paw-print with hanging loop.13mm tall (including loop).BUY 10 PACKS (120 charms) AND SAVE 50%! 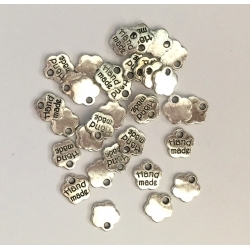 Pack of 5 lovely little silver-coloured metal Bible charms, perfect for Christening, First Communion and Confirmation invitations and cards.Double-sided charms (the back has a pattern on it) so they could also be used for jewellery making too.13 x 10mm without the loop. Made from a zinc alloy. 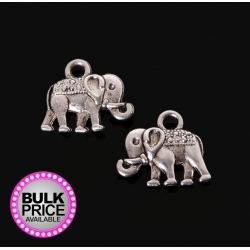 Pack of 10 silver-coloured elephant charms, double-sided so you can use them either way round. Use them for cards, crafts and jewellery.14mm wide x 12mm tall (with loop) x 2-3mm thick.Made from a zinc alloy.BUY 10 PACKS (100 ELEPHANTS) AND SAVE 50%! 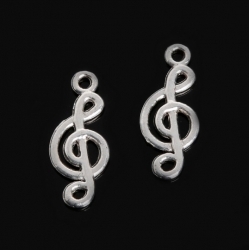 Pack of 10 silver-coloured metal treble clef charms, each being 19mm tall.Double-sided so they can be used as a jewellery charm as well as for cards and crafts.Made from a zinc alloy.BUY 10 PACKS AND SAVE 50%! 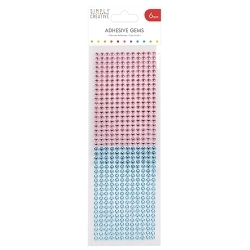 Embellish your papercraft projects with a sparkle using the Simply Creative 6mm gems. This pack contains 504 round 6mm self-adhesive gems. 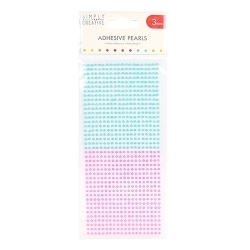 Embellish your papercraft projects with these pretty Simply Creative 3mm pink and blue pearls. This pack contains 800 round self-adhesive pearls. 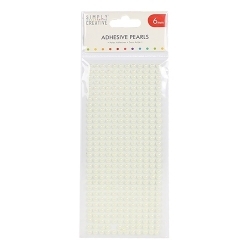 Embellish your papercraft projects with these pretty Simply Creative 6mm ivory pearls. This pack holds 372 round pearls, self-adhesive. 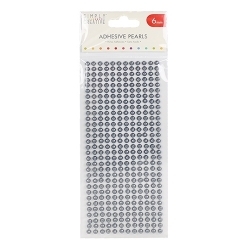 Embellish your papercraft projects with these pretty Simply Creative 3mm silver pearls. This pack contains 800 round self-adhesive pearls. 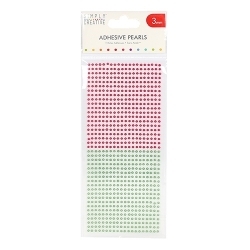 Embellish your papercraft projects with the shimmering Simply Creative 3mm Red and Green Pearls. This pack holds 800 round pearls. 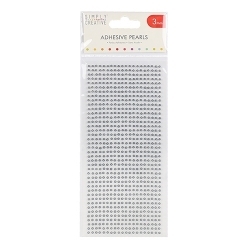 Embellish your papercraft projects with the shimmering Simply Creative 6mm silver pearls. This pack contains 372 round self-adhesive pearls. 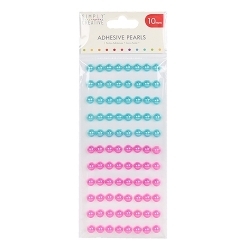 Embellish your papercraft projects with the shimmering Simply Creative 10mm pink and blue pearls. This pack contains 880 round, self-adhesive pearls.